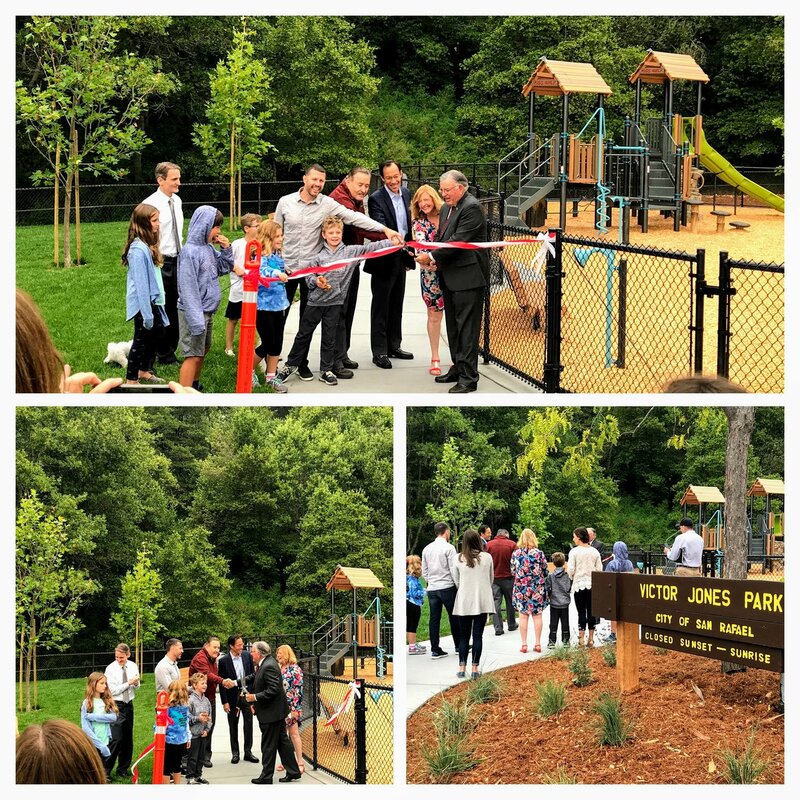 Victor Jones Park, a 6-acre park located in the Glenwood neighborhood concluded construction in June 2018 and now features a new play structure area and various improvements that allow more community access in the park with fencing and playground areas that benefit children and families. Thank you to the members of the @CityofSanRafael City Council, staff and community members who joined us for the ribbon cutting, Monday July 2! The new Victor Jones Park was funded in part by Measure A and a Glenwood HOA donation, thank you!